Jolly Ben: HELP~~ I'm captured by a giant Hershey's Chocolate! 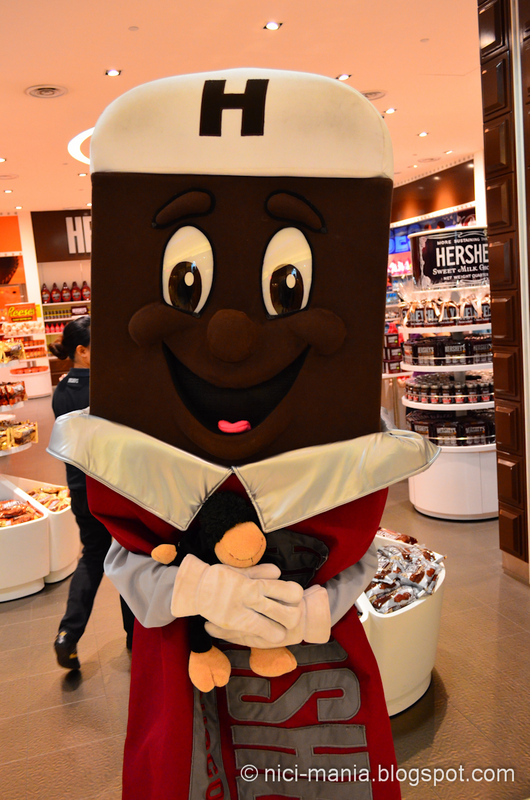 Hershey's Chocolate thoughts: You are so adorable and huggable! 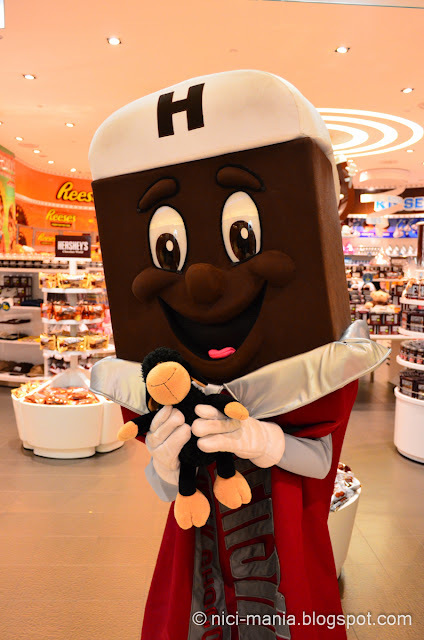 Jolly Ben: OH NO...monster chocolate is trying to squeeze me to death! Jolly Ben: Don't eat me!!! I will bring you Jolly Rosa, she is more delicious to eat. p.s. 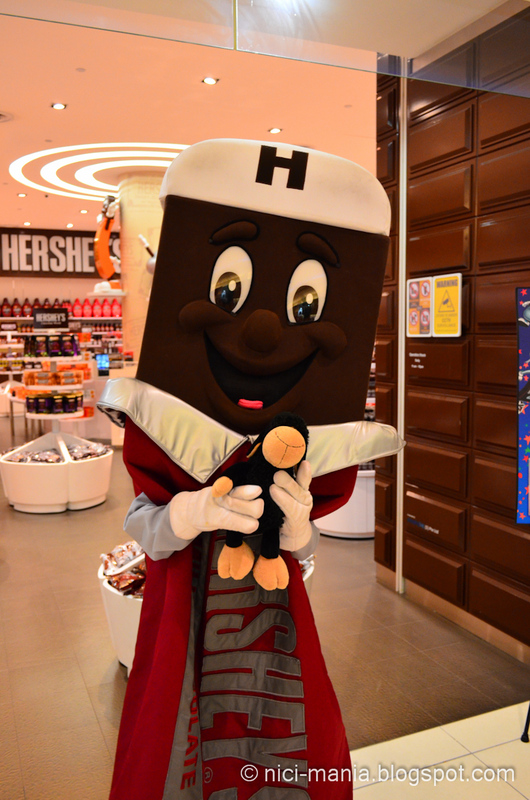 Many thanks to all the friendly staff at Hershey's chocolate for playing with our Ben! Haha, very funny, luckily he escaped. that is one GIANT chocolate bar! Hopefully he didn't melt on Jolly Ben! Wow, that was quite an adventure for Bob, there, a bit scary I guess. Hopefully he got himself a nice chocolatebar afterwards haha. i may be bringing Lucy and Robin (my Sheebo)there to play!! Lucy will go @_@ with excitement!! Our flock loves chocolate and they would like to play with the huge one, because now they know you can escape if you need a break haha. But we understand that Ben didn`t find it funny to be captured. 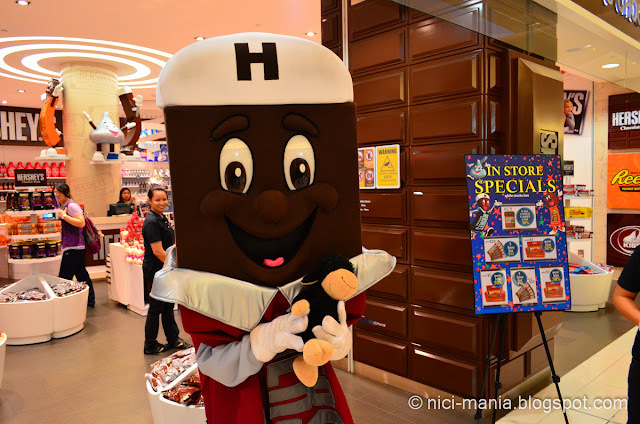 He earns a lot of yummy chocolate for his brave heart!! !